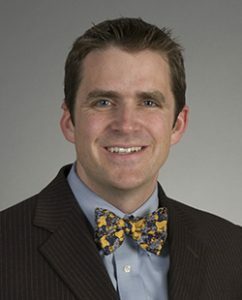 The University of Washington Advanced Minimally Invasive Surgery Fellowship is accredited by the Fellowship Council. The clinical fellowship is a long standing and established program. 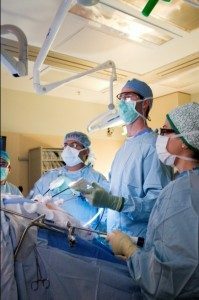 The University of Washington’s Advanced Minimally Invasive Surgical Fellowship has two fellowship positions available each year as one year appointments. These appointments can and have in the past been extended for a second year, particularly for those individuals who would like to take advantage of any number of clinical and research opportunities available in our center that cannot be accomplished in one year. All fellowship applications must be submitted through the Fellowship Council match system. 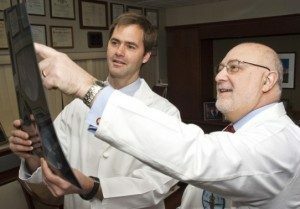 We have a particular focus on esophageal diseases, with over a high volume of antireflux, paraesophageal hernias, Heller myotomy, diverticulectomy, and esophagectomy procedures performed each year. The Center for Esophageal & Gastric Surgery performs over 1,200 procedures annually. 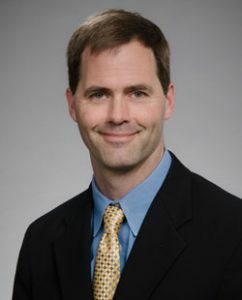 Within the Center, we have one of the top five Esophageal Motility Laboratories in the United States based upon the number of annual procedures performed, providing the fellows the opportunity to expand their expertise in this area. In addition, we provide experience and training in flexible endoscopy, single access laparoscopy, and research opportunities in endoscopic surgery and NOTES. 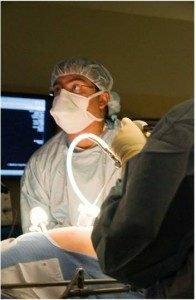 Our focused areas of research are in minimally invasive techniques, esophageal surgery, and surgical robotics. We have an advanced surgical robot (Da Vinci) used for both research and advanced laparoscopic operations. The year is funded at an R6 level salary with benefits, including vacation time. The career paths of our graduates have been split between academic and larger practices that allow graduates to be leaders in MIS in their community. 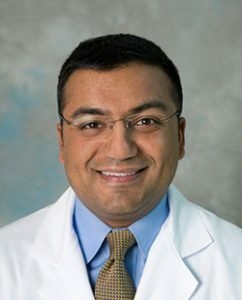 Many of our previous fellows have gone on to academic positions as specialists in minimally invasive surgery, and many are currently directors of other fellowship programs. Each fellow performs approximately 140 advanced procedures, and produces at least four publications during their year with us. Fellows are encouraged to present at regional and national meetings. A level of surgical maturity in an accredited training program that will permit the fellow to participate effectively in the clinical, research, administrative and education goals of the Center for Videoendoscopic Surgery. 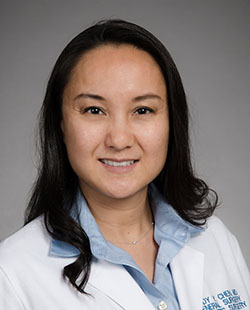 Fellows will have completed a general surgical residency training program and seek to gain research, clinical, and teaching experience that will provide a foundation for a future academic career in minimally invasive surgery, while enhancing their flexible endoscopy and videoendoscopic skills. Will be required to obtain a medical license in Washington State and individual DEA license. 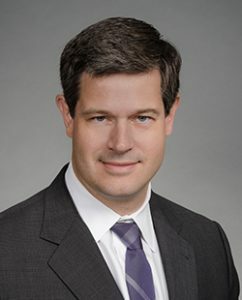 The University of Washington’s Advanced Minimally Invasive Surgery program provides a unique training experience and opportunity for fellows to work side-by-side internationally recognized surgeons in minimally invasive surgery as well as develop their research skills and contributions. Additional information and detail may be found on the Fellowship Council website including application and match deadlines at the Fellowship Council Website.